A homemade body sugar scrub that embodies the aroma of fall – you’re guaranteed to love this Apple Spice Sugar Scrub! A couple weeks ago, September 1st rolled around and my Facebook feed blew up with pumpkin spiced latte everything. Certainly a sign that fall is upon us and it’s time for everything to smell like cinnamon, body scrubs included! I love fall as much as the next person, with its excuse to wear baggy sweaters, opportunities to snuggle with my kids under a blanket on the couch, and, most importantly, the return of prime time television. The fall is probably the most comforting season of the year, and I want to help make it a little extra for you with this homemade apple spice sugar scrub! I have long been a fan of homemade sugar scrubs because they’re exfoliating, moisturizing, and smell amazing. 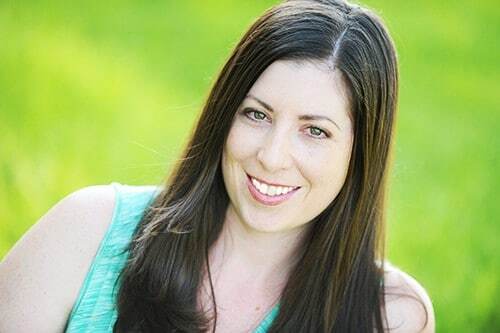 They also do all kinds of great things for your skin. 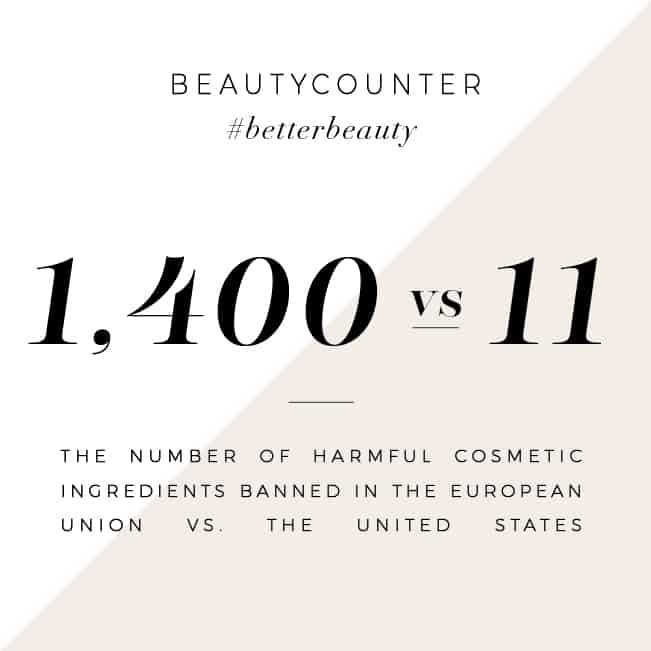 When you make them yourself, you save money and control the ingredients that go into the scrubs (and onto your skin). To pair with fall, this apple spice sugar scrub features exfoliating brown sugar, moisturizing coconut oil and honey, rejuvenating apple cider vinegar, and pumpkin pie spice to make it feel like fall. 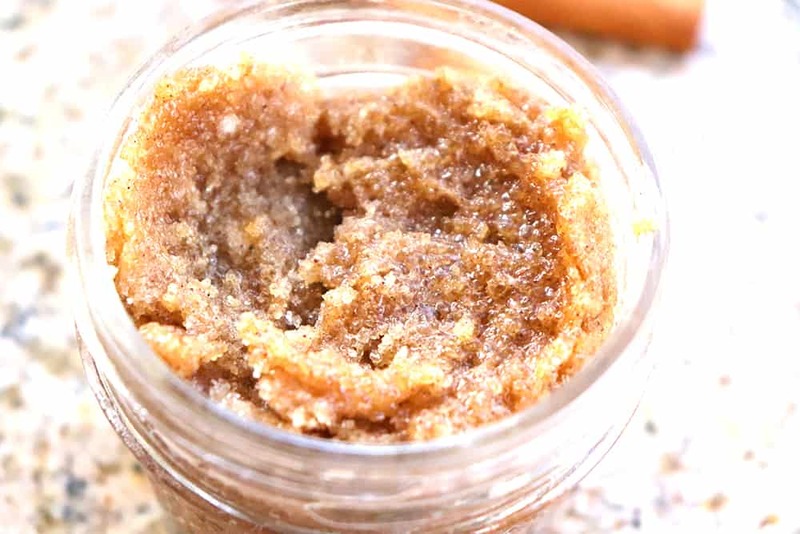 It is super simple to make this apple spice sugar scrub! You’ll start by combining 1/4 cup brown sugar, 2 tbsp coconut oil, 1 tbsp honey, 1 tbsp apple cider vinegar, and 1 tsp pumpkin pie spice. Stir well, then add to a clean mason jar. 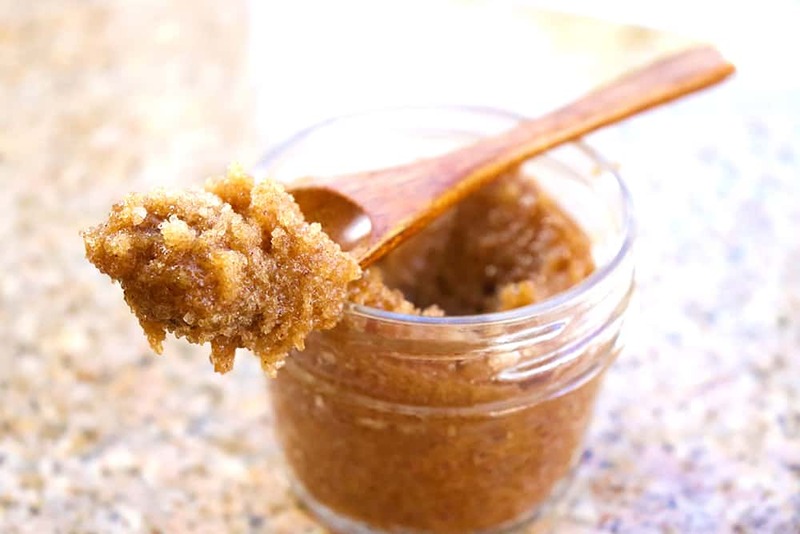 When you’re ready to use the apple spice sugar scrub, massage a couple tablespoons into your skin, in circular motions. Rinse clean with warm water. I enjoy keeping a jar of this in my shower (sealed with a lid, of course) which makes it easy to use, without creating a big mess. Want to print out this recipe to hang on your fridge or share with a friend? Here is a printable recipe for you! Mix all ingredients together in a small mason jar. To use, gently rub into the skin, in circular motions. Rinse off with warm water. Want to save this for later? 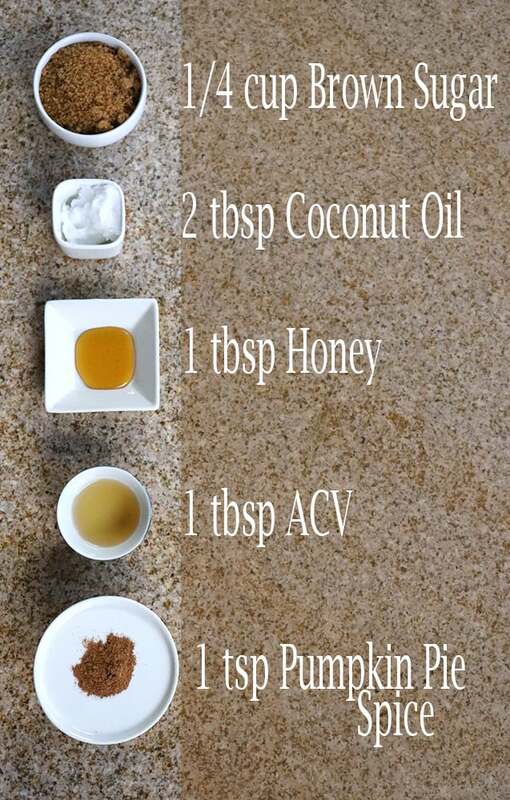 Just click on the image below to save this to your favorite Pinterest homemade body scrubs board! I am not sure why it would be runnier, but I would recommend for the next batch, reducing the ACV from 1 tbsp to 1 tsp. That should thicken up the mix and reduce the vinegar smell.